Curly in the City: no-laboring for three days! 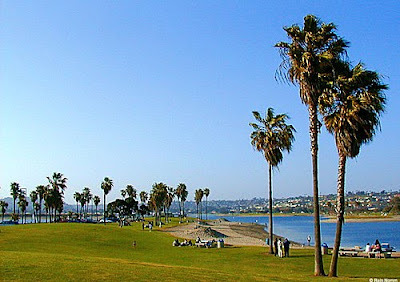 Mission Bay, San Diego, CA -I would love a picnic here this weekend...ahh dreams! Happy looong Labor day weekend! I hope you get time to 'non-labor' this weekend. Relax, enjoy some ME time doing the things you love, spending it with the people you love. I have some errands planned, and some crafting and a whole lot of relaxing! Enjoy the weekend! And good luck to my girlfriend, Miss Choker, in her Half-Marathon!!! (I hope to be healthy enough to do one with you soon! This would be a terrible coincidence if I wasn't Miss Choker, but THANKS!!! It was awesome:) Blog post coming soon! I'm going to try and do all the rock n' roll halfs... which includes Chicago!!! We wanted to do that one this summer but it filled up and then I got hurt. But by the next one I will be ready!! !